Presenting the Maus Werx catalog. it will cover the extra shipping charge. The "add in" is at the bottom of this page. order is more than $200.00. The add to cart buttons take you to PayPal billing. For more options go to our "order" page. Thank you. 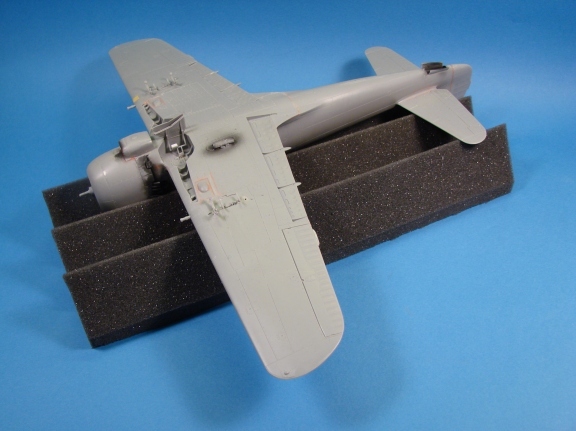 This multi disc DVD show a complete step by step build up and finishing of the Hasegawa 1/32nd scale Fw-190A6. Included are basic to advanced techniques, interactive menus, photo reference and a gallery of various Fw-190 models. Approved by renown Luftwaffe author Jerry Crandall! 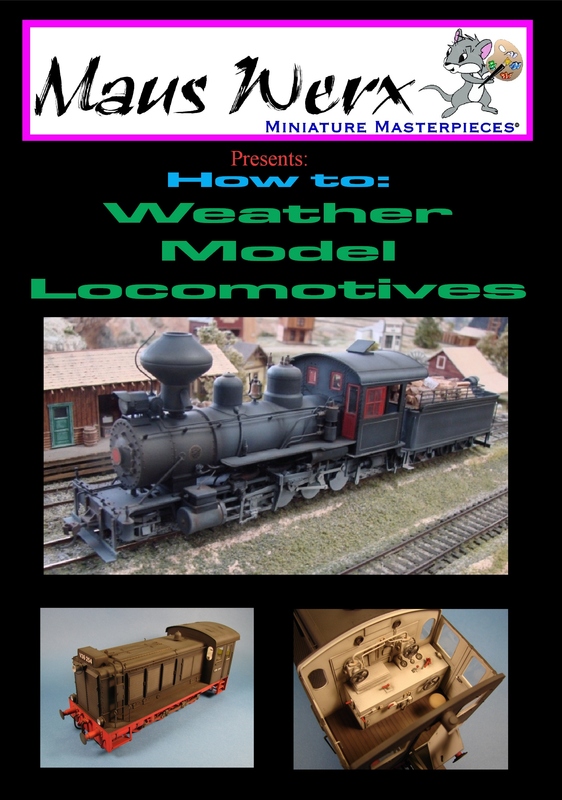 This model will be featured in the 2011 Great Scale Modeling magazine! 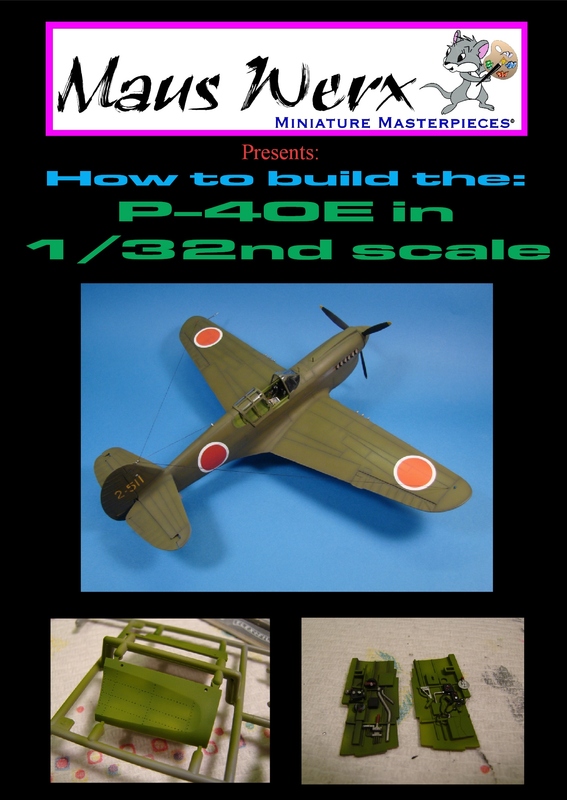 This six disc DVD show a complete step by step build up and finishing of the Hasegawa 1/32nd scale P-40E. Included are basic to advanced techniques, interactive menus, photo reference and a gallery of various P-40 models. Run time over 6 hours! 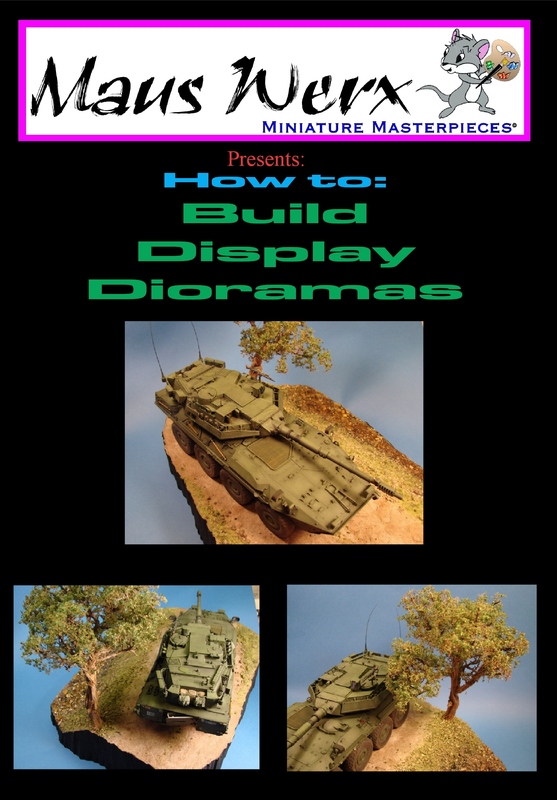 How to: Build Display Dioramas This two disc set shows you how to build a diorama for showing off your model vehicles. This two disc set shows you how to weather using dry brush, airbrush, pastel and pigment techniques. 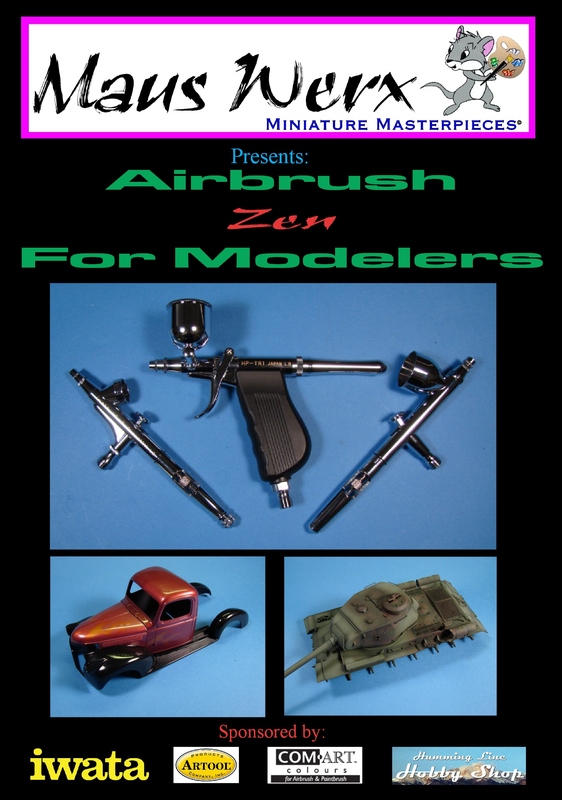 This 4 disc set will teach you to master your airbrush and give special modeling techniques. Includes a rare gallery of a real Swiss built German Panzer 61 medium tank. #MTGK Maus Tools No-Slip Grip Grit Kit. Use this kit to apply a coating on your Merkava model kits. Now with Tracer Red color to see your application better. 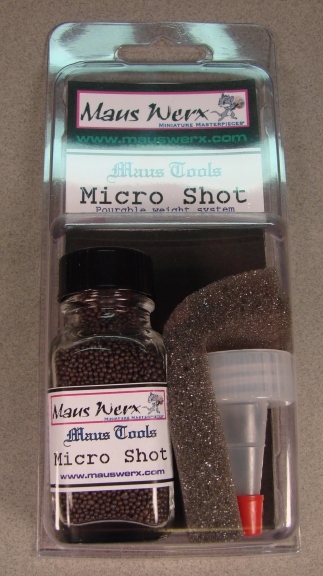 3.5oz Use for balancing your model without using lots of material. Shake-able cone included. Just cut open the cone and shake material out. Glue in with super glue or epoxy glue. 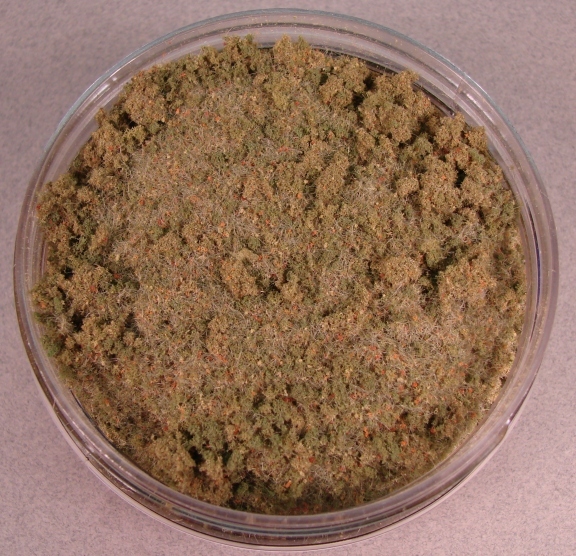 1/4oz tins. 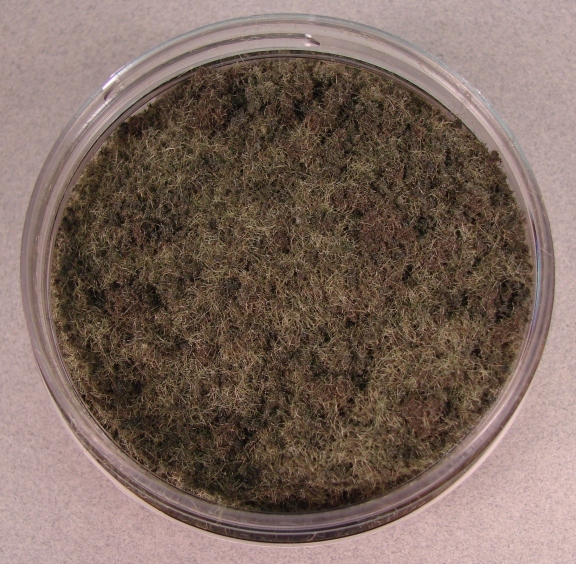 Earth color powders for weathering your model plane, tanks, cars etc. 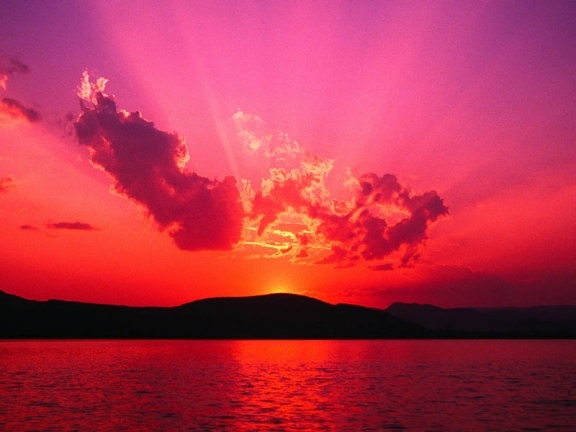 Three different colors. No more grinding pastel chalk sticks! 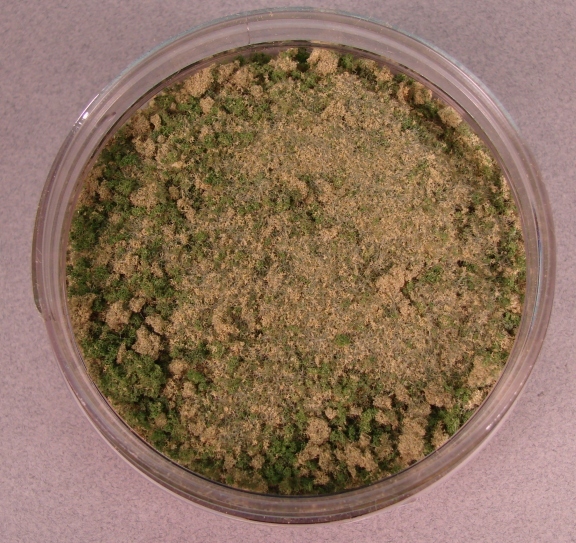 9oz Mix of Different grasses and weeds for diorama ground work. 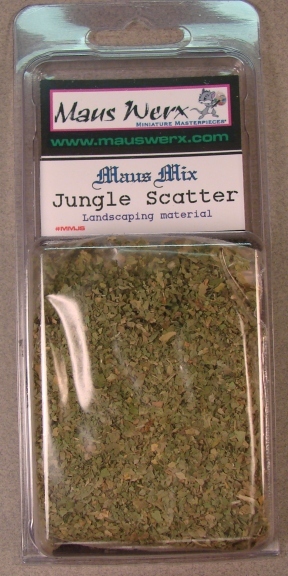 Special mix used for dioramas in a spring or summer long grass, short grass and weed environment. Now in wide mouth jars for ease of use! 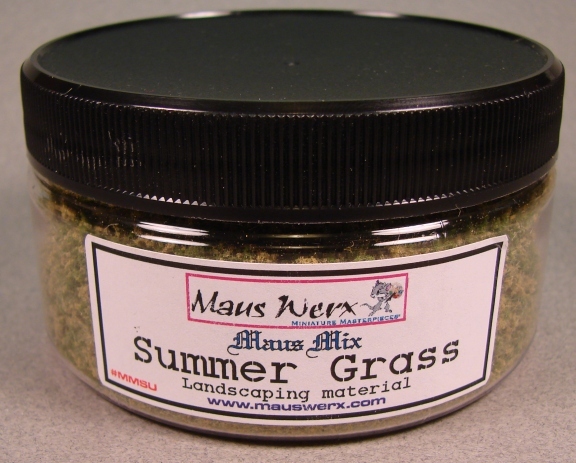 9oz Mix of Different grasses and weeds for diorama ground work. 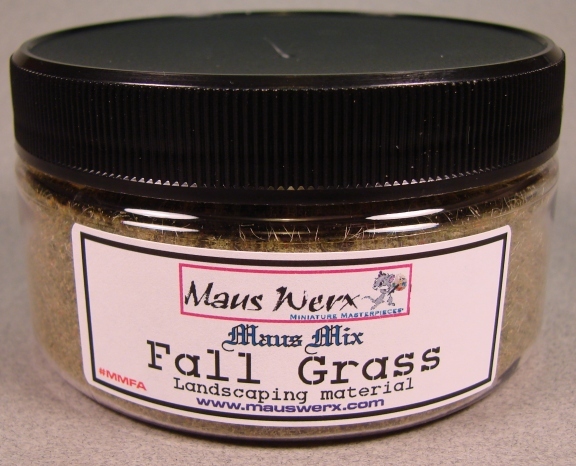 Special mix used for dioramas in a late summer or fall dead grass environment. Now in wide mouth jars for ease of use! 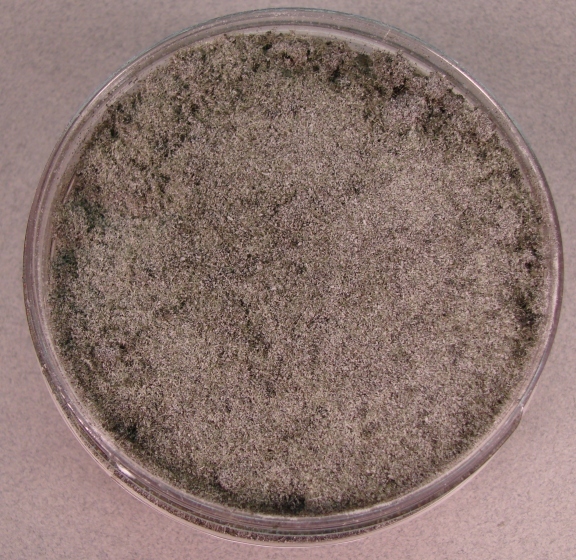 9oz Mix of Different grasses and weeds for diorama ground work. 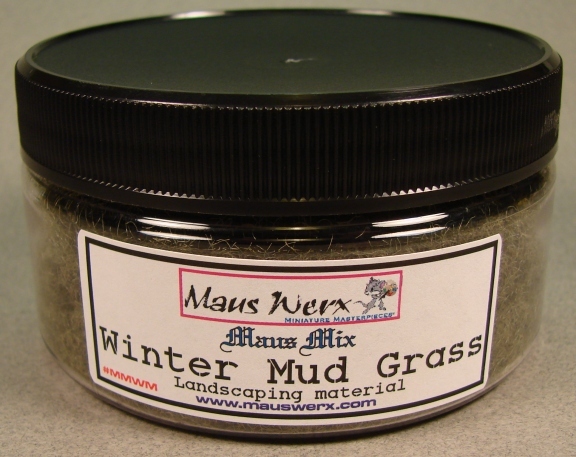 Special mix used for dioramas in early winter or muddy dead grass environment. Now in wide mouth jars for ease of use! 9oz Mix of Different grasses and weeds for diorama ground work. 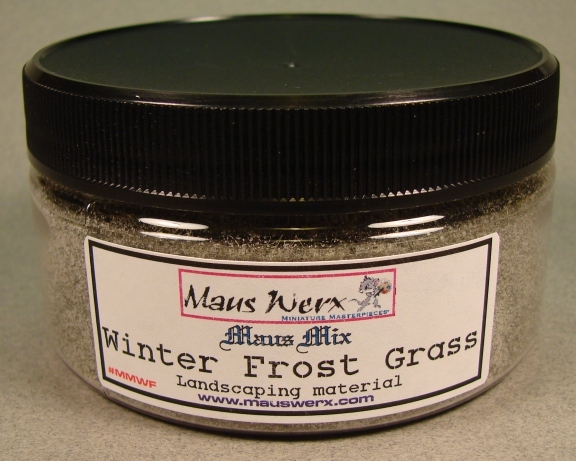 Special mix used for dioramas in mid winter dead grass, mud and winter frost crystals. 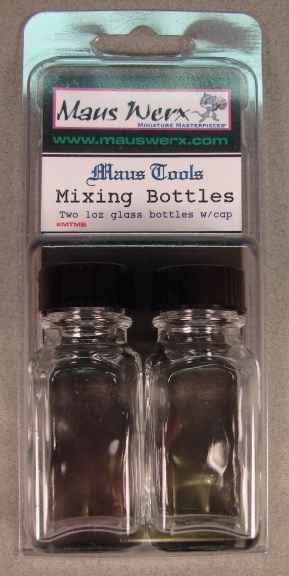 #MMSN Maus mix Snow flakes 1oz New and improved! Special addition to a mid winter diorama to simulate freshly fallen snow. #MTLC Maus Tools Long Clip. 3" long, 6pc. This is a long, curved, rubber coated clip for building your modes with no paint scratching. This is an oil based thinner set used for tube oil paints when blending for figures etc. Turpentine for thinning oil paint and turpenoid for cleaning brushes. New! 220, 320, 400, 600 and 1500 grit Use these tools to eliminate knockout pin marks. Reusable and washable for wet sanding. 220 grit Use if you need to replace the Maus Pads sanding discs. 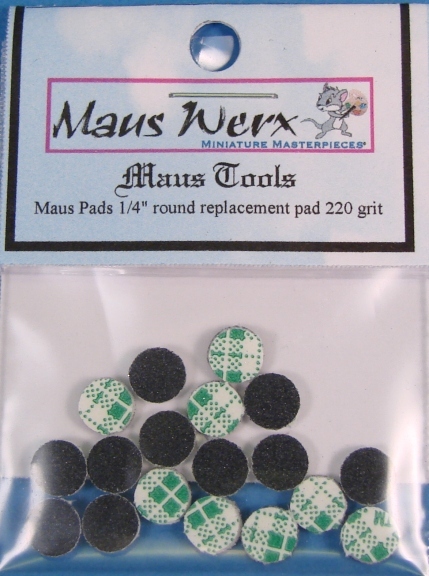 Use if you need to replace the Maus Pads sanding discs. 1" Pyramids 12"x12" Use this pad to cradle your model at any angle for construction, decaling Etc. 2" Pyramids 12"x12" Use this pad to cradle your model at any angle for construction, decaling Etc. 3" Pyramids 12"x12" Use this pad to cradle your model at any angle for construction, decaling Etc. Use this pad to cradle your model at any angle for construction, decaling Etc. 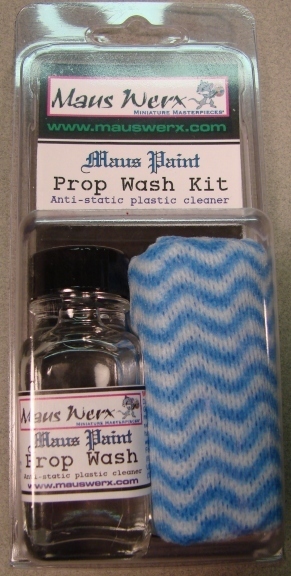 Use these for extracting paint and thinner for mixing and airbrushing.